Are your hands cold even though you're not in a cold environment?This condition is pretty much not uncommon, as it's your body's natural way of regulating your temperature. How about tingling hands?Though it’s quite a bothersome situation when your hands are tingling, it should not cause you any worries as this condition is also common. But what about experiencing both of these symptoms at the same time?This article will show you what possible diseases or health conditions that are associated with the two symptoms. What Causes Cold and Tingling Hands? Should you be worried when your hands are cold and tingling? They could be a tell-tale sign of these following conditions. Check which condition you may suffer with. This condition occurs when you're not getting enough of Vitamin B12. Vitamin B12 is responsible for many things for your body, one of which is making your red blood cells and DNA. Treatments: Make sure that your diet is rich with vitamin B12. You can also take B12 supplement or multivitamin that contains B12 every day. This can occur when you're outside on a wet, windy or cold weather. It can also happen when you're inside a house or a building that is not well-heated during cold seasons. Symptoms: When you're exposed to cold temperature, you experience frostbite or frostnip, blistered and pale skin, cold and tingling hands, vision changes or eye pain and hypothermia or abnormally low temperature. Treatments: Minor injuries incurred from cold exposure usually heal on its own. For more severe injury though, you can try home treatments such as drinking warm soups or drinks, change to dry clothes, keep moving and use warm and thick blankets. This disorder is a painful condition of your hand and wrist, caused by pressure on the median nerve of the carpal tunnel. People who are at risk are those that are doing repetitive motions throughout the day. Symptoms: Symptoms include feeling of pins and needles in your fingers, weakness in your hand, finding it difficult to make a fist, finding it difficult to manipulate small objects, dropping objects or difficulty gripping, and numbing or tingling feeling in your index, thumb and middle finger. 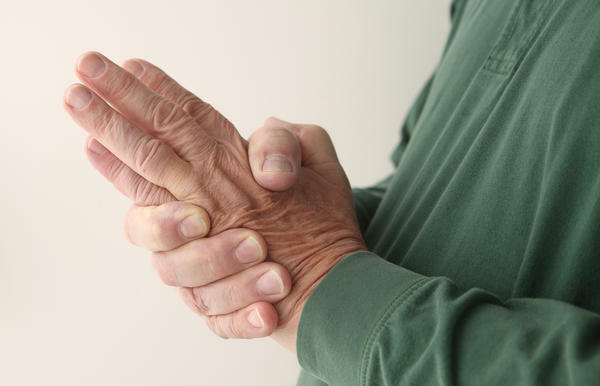 Treatments: Your physician may recommend use of nonsteroidal-anti-inflammatory (NSAID) drugs, occupational therapy, wearing splints and resting your hands and wrist for a long period of time throughout the day. A panic attack is a sudden feeling of overwhelming fear and anxiety. If left untreated, it can lead to panic disorders and other problems. Treatment: Medications such as Benzodiazepines and Antidepressants are used temporarily to reduce the symptoms of this disorder. Relaxation technique, regular exercise and adequate sleep can also help combat fear and anxiety. Median nerve injury can be caused by a fracture or other injury or compression from the buildup of excess fluid that follows the injury. Symptoms: Patients experience numbness or tingling in the thumb, forearm and the three adjacent fingers, weak grip and having trouble moving the thumb across the palm and difficulty in turning the hand over or flex your wrist down. Treatments: Treatment includes primary or secondary repair or neurolysis. This condition occurs when your blood sugar level is too low. Symptoms: Symptoms include rapid heartbeat, blurry vision, sudden mood changes, fatigue, headache, sweating, skin tingling, trouble sleeping and unexplained fatigue. Treatments: Eat something rich in carbohydrates when your blood sugar level is low. Taking glucose tablets is also recommended to increase your blood sugar level. This condition is a potentially disabling disease where your immune system attacks the protective sheath that covers your nerve fibers. This causes a malfunction in the communication between your brain and other parts of your body. Symptoms: Symptoms may vary per person and depend on which nerve fibers are affected. Common signs include prolonged double vision, slurred speech, dizziness and fatigue, bladder and bowel function problem, numbness or weakness in one or more limbs and pain or tingling feeling of body parts and cold and tingling hands. Treatments: Since this condition has no cure, treatment focuses on slowing the progression of the disease. Medications like corticosteroids are prescribed for nerve inflammation reduction. Other treatments include physical therapy, muscle relaxants and prescription of medications that can reduce fatigue. This condition causes some parts of your body - such as your toes and fingers - to feel numb and cold in response to stress or cold environment. Symptoms: Symptoms and signs for Raynaud's disease include a change of color in your skin when stressed or cold, cold toes or fingers and prickly or numb feeling or stinging pain upon stress or warming relief. Treatments: Mild symptoms can be relieved by wearing gloves or heavy socks or dressing in layers. Medications such as Vasodilators and Calcium channel blockers are recommended as well. This autoimmune condition of the connective tissue is characterized by thickened skin that can involve blood vessel problems, scarring and varying degrees of pain and inflammation. Symptoms: Symptoms include widespread inflammation, heartburn, spasm when exposed to cold, tingling, fatigue, headache and shortness of breath. Treatments: Suggested treatments include aggressive treatments of elevations in blood pressure, colchicine and medications to relieve symptoms. This condition occurs when there is an interruption in the supply of blood to your brain. This is a medical emergency that needs prompt treatment. Treatments: For immediate treatment, aspirin is given to reduce the likelihood of another stroke attack. Depending on the features of the blood clot, doctor must perform emergency procedures as soon as possible. What Causes Tingling in My Fingers? What Causes Tingling Feeling in Your Right Arm?